Conversations between people meeting for the first time are often marked by the question “where are you from?”. In some cases, this may be the natural utterance of, say, a curious neighbour, while in other contexts the question may be positioned and/or received as a significant political issue. Here in Milan, questions of roots and routes (Clifford 1997) have characterised many of my daily conversations with people. On the one hand this is perhaps not surprising, since I have chosen to conduct research within a ‘superdiverse’ (Vertovec 2007) neighbourhood, where identities blur, bend, and bounce in a myriad of compelling ways. In another sense, this can also be put down to my own presence here: the ethnographer with a not-so clear nationality, with a first name that sounds foreign for some, but familiar to others. This predicament of being myself una straniera (a foreigner) is proving a socially rich point of contact and connection with all kinds of people in this part of the city, particularly within the different activities I am involved in as a ‘participant-observer’, such as attending and assisting in Italian language classes for foreigners. But there is a deeper, historical facet to questions of origins in northern Italy that is a core facet of my ethnographic research. 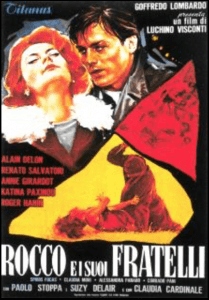 Luchino Visconti, a pioneer of the socially conscious Italian Neorealist cinema of the post-war period, shows how migrants and their families from the south faced significant social challenges in adjusting to the different experience and pace of urban, industrial life in the north – alongside the pain and nostalgia of missing or losing one’s home. Throughout the course of the film, the Parondi family, recently moved to Milan, struggle between their traditional values – of family duty and honour – and the more individualistic society creating its vision of a modern lifestyle in the big city (Bondanella 2001: 196-199). Ultimately, the family unravels at the seams, highlighting, among other issues, the difficulties of integration. In reality, over time, the majority of internal Italian migrants settled, secured jobs, got married, and begot future generations. 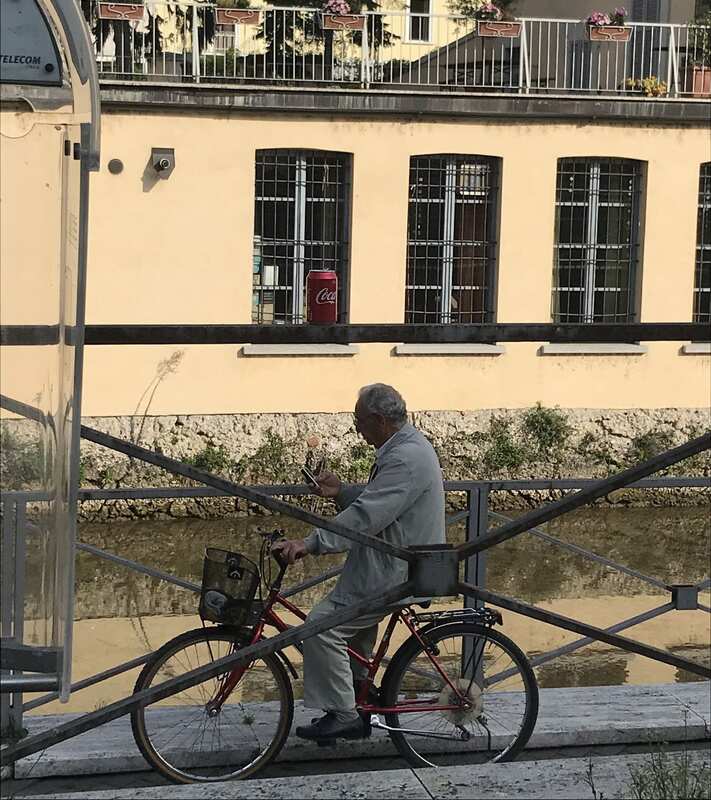 Today, these are the elderly Italians that I meet, and who live side-by-side with newer generations of foreign migrants, who have themselves come to Milan in recent decades seeking work, following their families, and pursing economic stability. 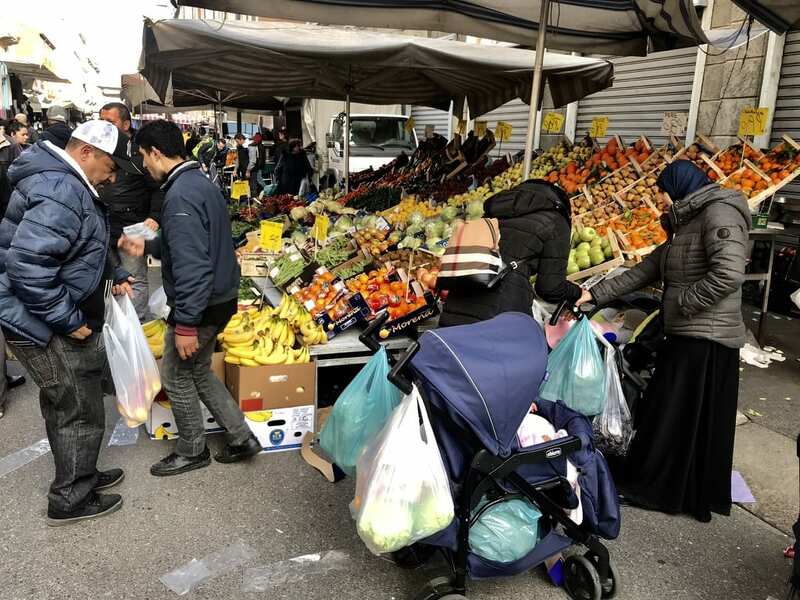 In several instances in everyday life, such as at the local Friday market, all of these peoples can be seen sharing economic and social space, while in the political sphere, questions of identity continue to divide groups and foster allegiances. 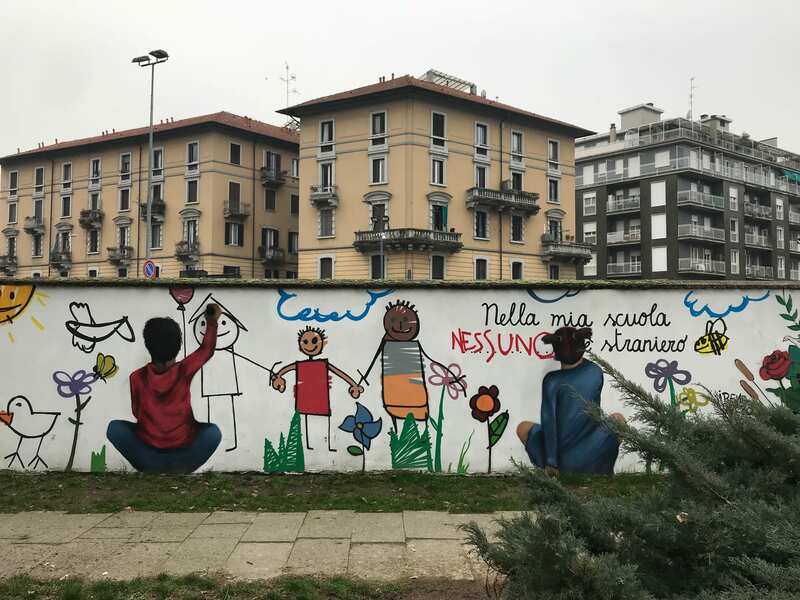 This history of various mobilities has been described to me here as follows: “there is no Milanese – we are all foreigners!” Or, a similar sentiment put in the reverse sense, “no one is a foreigner” (see image below). These expressions appear to emphasise the community’s general attitude of respect for the co-existence of many cultural and ethnic groups here. Their term ‘Milanese’ however is clearly not the same reference point as it is, say, for the wealthier, noble families who have been part of the city’s political and cultural life for centuries – including the family of Luchino Visconti. So while the framework of my study might have been positioned to compare the experiences of Italians with migrants, in effect I am unearthing the deeper historical issues of rupture and rearranged family structures, as well as the wider interplay between mobile phones and mobility, that affect all of these populations. The task, therefore, is to explore and illustrate precisely how these processes have as much to do with the different historical experiences of the various Italian populations, as they do between Italian and foreign others. Bondanella, P. (2001). Italian Cinema: From Neorealism to the Present, 3rd edition, Bloomsbury. Clifford, J. (1997). Roots: Travel and Translation in the Late Twentieth Century. Harvard Universtiy Press. Vertovec, S. (2007). ‘Superdiversity and its Implications’ in Ethnic and Racial Studies, Vol. 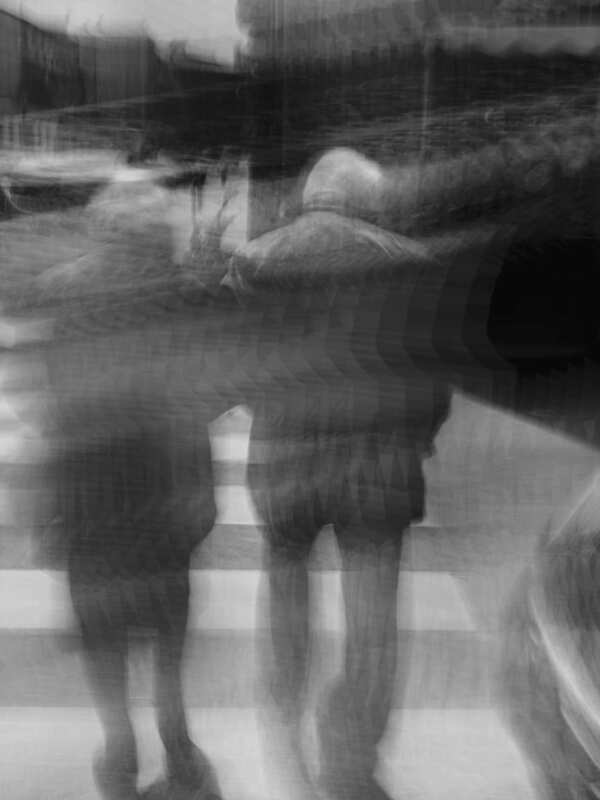 30, Issue 6: New Directions in the Anthropology of Migration and Multiculturalism.